Independent candidate for Norton Temba Mliswa has mocked former Cabinet minister Saviour Kasukuwere after his arrest for abuse of office and has questioned investigations for Ignatius Chombo. "@HonSKasukuwere Sekuru ,you see what l went through now?At least you were just at Rhodesville &didn't get the grand tour of Matapi, Greendale ,Chinhoyi etc that l went through it'll make you stronger & give you a chance to be proven innocent or guilty, said Mliswa via Twitter. "While @HonSKasukuwere was arrested, what about Chombo? Whats going on there? He was the Godfather of land barons but nothing's happening is it because of weak investigating , prosecuting or judiciary team? 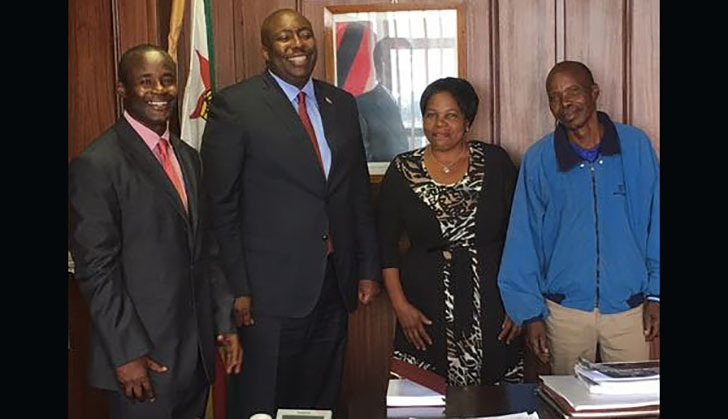 Something's not right here..."
Meanwhile, Kasukuwere was arrested on Monday on four counts of alleged abuse of office had to sleep in police cells at Rhodesville before being granted $3000 bail by Harare regional magistrate Mr Hosea Mujaya. He was also ordered to surrender tittle deeds to a Nyanga property among other stringent conditions. Former Finance minister Chombo who is facing a plethora of criminal cases involving corruption, fraud and criminal nuisance was granted temporary reprieve by High Court in July.